I have had a tough couple of weeks but I finally finally finally got things to calm down and bit and got my life back to some sort of organization this weekend so Im ready to kick off this week. The last couple of weeks have been really good as far as school goes. I got to take clients for the first time last week and so far I havent really screwed up anyones hair. I also started a new diet program with a group of people to help me get off the pounds I gained during unemployment. Now I did not get to the gym like I needed to the last couple of weeks. I got a few workouts in but definately not daily. I had lots of cookie orders that kept me up late at night and that makes it pretty tough to wake up at 4:15am. But this weekend I think I got things in order to make my week easier. I got my laundry done (like 9 loads), got my clothes laid out for the week got my food planned out for the week, got all my gift bags delivered (that was a thing for school and if you are still interested in buying one let me know, they are still for sale), and got my house cleaned up and I was sure that was never going to happen! I also got my gym membership worked out so I can workout in the afternoon in case I dont get to the gym in the morning because I still have to get cookies done. Im not guarenteeing that this week will be less stressful or better than the last two week (cause the last two weeks have been pretty awesome) but maybe this one can be little more organized so that I can keep my sanity while trying to get everything done! 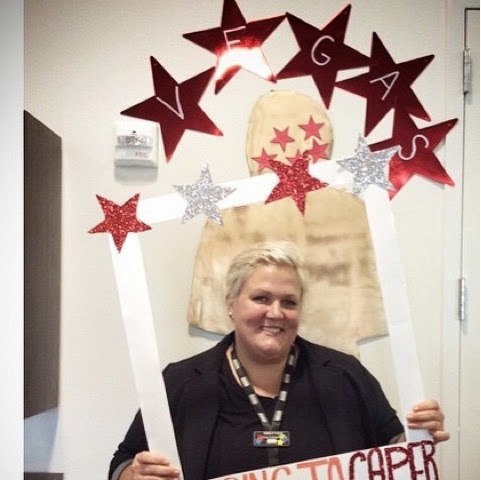 And all that hard work on the gift bags has won me a trip to Caper!!! This is a trip to Vegas for an educational conference that I get to be a part of!!!! Thanks to all those who bought a bag!